Hello, welcome and thank you for visiting our site. After being a general contractor in Southern California for over 33 years, I found that I really enjoyed doing finish carpentry the most. So when I got this opportunity we fit like a glove. One day there was a general message on facebook asking if anyone could make a baby grand piano shell, to my surprise the post was from a lifelong musician friend of mine Kenny Metcalf. I sent a message saying I could definitely make it for him. 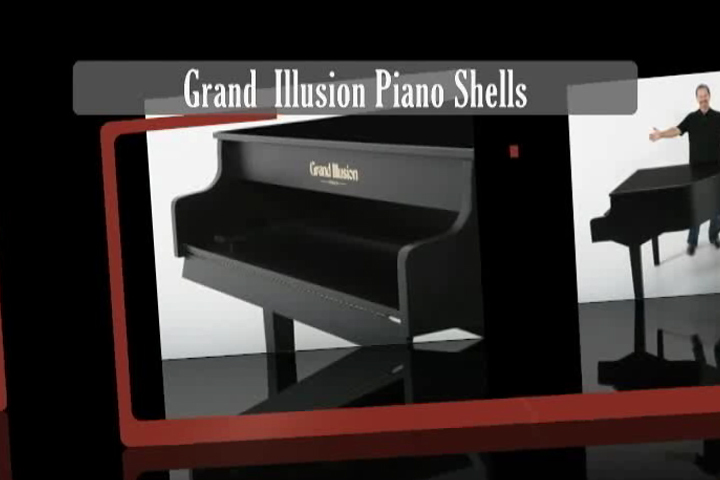 So I went to the local piano store and took measurements for the 5' and 6' baby grand pianos so I could make an exact replica of these pianos. Next I ordered material and made a grand piano shell that fit Kenny's Yamaha P150 Electronic Keyboard. All of our piano shells are made by hand with attention to detail. These top quality handcrafted shells are durable, practical, lightweight and affordable.